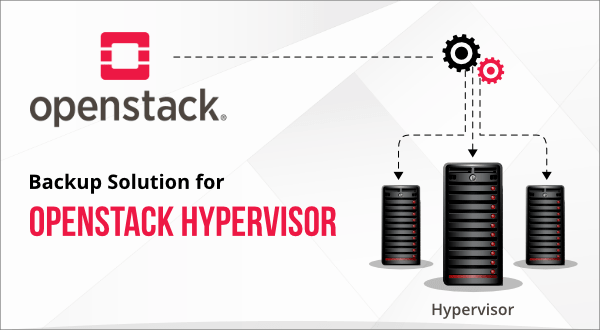 OpenStack is a software solution which is gaining popularity with rapid speed. It is an open source solution due to which small and medium businesses are heading towards OpenStack to be implemented in their data centers. Thereby with Vembu, SMB’s can now protect their data also in OpenStack environment. Vembu provides Backup and Disaster Recovery (DR) solutions with its wide range of products using which, the data can be backed up from OpenStack environment. Vembu offers ImageBackup agent for the virtual machines running on Windows OS. The agent has to be installed on each Windows VM to backup the virtual machine including the OS, Application and data. Full VM Backup – The entire VM can be protected along with its OS, application and data running on any hypervisor irrespective of the environment. All this on a single go to ensure business continuity. Application-aware VM Backups – Application aware process is enabled fundamentally during the backup of highly transactional Applications (Microsoft Exchange, SQL, SharePoint and Active Directory). It enables the application specific VSS writers to take consistent snapshots during the backup also letting the log files to be truncated at the end of backup. Changed Block Tracking – The proprietary Vembu CBT Driver is employed in the backup process for efficient block level incrementals. Vembu offers NetworkBackup agent to backup individual files, folders and applications from Windows, Linux and Mac VMs.